Our mission is to create an ecosystem where employers manage on-demand workforces and workers secure work instantly and reliably, eliminating overhead for all. 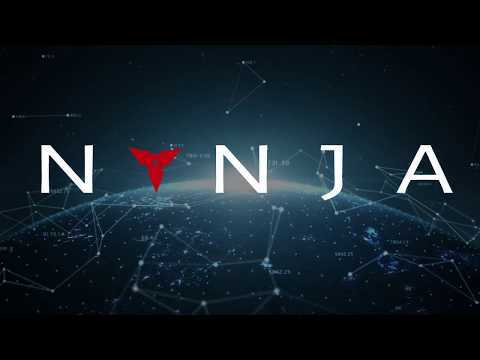 NYNJA vOS is powered by blockchain technology, storing worker and employer reputations, streamlining cross-border transactions and serving as a means of arbitration resulting in expansion of the overall market. The global employment landscape is undergoing dramatic changes caused by shifting demographics, automation, increasing connectivity and the changing needs of workers and organizations. Companies and entrepreneurs are seeking to reduce overhead and maintain contingent labor input that they can flex upon demand. Individuals around the world continue to look for ways to diversify their income streams and earn more money with greater freedom and flexibility. Current platforms that aim to serve employers and freelancers have slow onboarding processes, high administrative costs and offer limited tools for collaboration and communication. NYNJA vOS is a groundbreaking virtual operating system designed to power the Future of Work. We believe that an inclusive, global, freelance economy will create exceptional benefits for human productivity, innovation and well-being. By removing barriers to entry for global freelancers and by providing permissionless onboarding into the global ‘gig’ economy, the NYNJA vOS platform powers a whole new ecosystem of blockchain-enabled apps and services for work and daily life. Employers and entrepreneurs can hire and manage on-demand workers, communicating, collaborating and transacting with them securely and efficiently, anywhere, in real-time. Within 5 years, 85% of the world will have a mobile device. For the first time in history, anyone with a connected device can participate in the global economy without the need for a bank account. With the advent of smart contracts and permissionless, frictionless payments using cryptocurrency, online commerce is in its early infancy. We have now reached the tipping point when platforms like NYNJA are born and become part of creating the next global economic boom. For a comparison, think of Google, eBay, and Amazon as examples of platforms that came out of the Internet Boom of the 1990’s and 2000’s. Blockchain technology will provide the ability for people worldwide to transact without friction, building on how the internet enabled people to communicate without friction. With this new freedom and capability, people will be empowered to earn a better living, have more control over their time and purchase digital goods and services that were previously unavailable to them. NYNJA vOS is the platform that empowers them. So hardware specific platforms will be out of scope if this project becomes successfull. Strong timelines. The most interesting part about this project would be text, voice and video communication. Great vision, but MVP not yet. When we can see it? Problem with marketing and social media. Need add Github, Facebook, Bitcointalk and other media. Team needs more competent experts and advisors with expertise in blockchain to succeed. No one is blockchain expert makes no sense to me as an investor now.